SpectraPave software provides pavement design engineers the most powerful tool available for evaluating roadway design options and optimizing pavement performance using Tensar Geogrids. This free program specializes in the optimization of paved roadways as well as the stabilization of unpaved roadways and construction platforms. This comprehensive, systems-based design software suite offers the full benefits of Tensar's knowledge and experience in analyzing both subgrade stabilization and pavement optimization applications. These applications incorporate the entire range of Tensar TriAx geogrids. While it is recommended for users to view the training module video above prior to download and installation, no previous knowledge or experience in pavement design is required to benefit from using the software. What changed with the recent update? 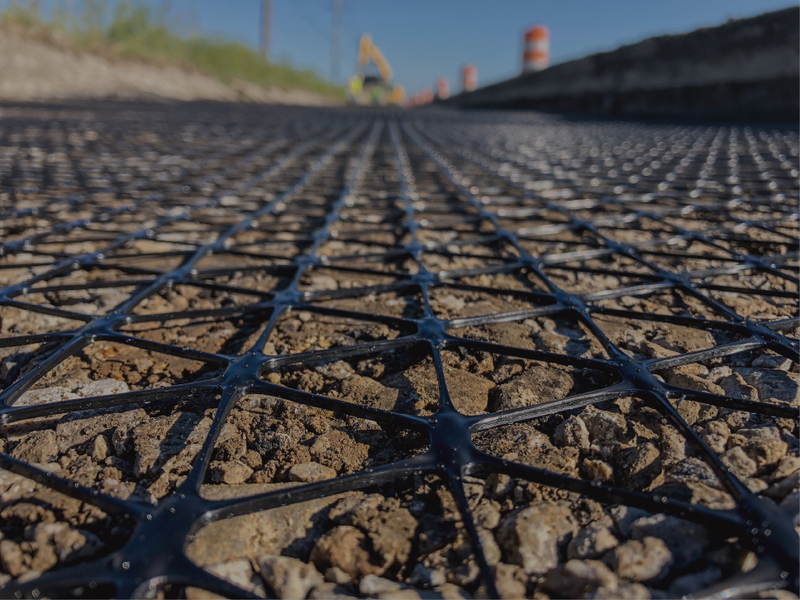 The updated Pavement Optimization module is intended to help engineers, public agencies, owners, and contractors better understand the true value of using TriAx geogrids in their pavement sections. That value can be determined by examining pavement life extension, reduction of initial construction time and cost, reduction of life cycle costs, reduction of fuel and water consumption during construction, just to name a few. or submit your help request via our Contact Us online form. Test your SpectraPave software knowledge with a pavement design quiz and be entered to win a $500 Amazon gift card! Design Challenge ends March 31, 2019. Estimated time to complete the quiz is 10-15 minutes. See full contest rules for more information. Windows 98 or later Windows operating systems provided that correct drivers are installed; 450 MHz min processor; 512 MB of RAM; and 200 MB of hard disk space. Any system capable of running current Windows operating systems would also have the capacity to operate SpectraPave. SpectraPave software must be installed and run as an administrator. If the software is not run as an administrator, the user will receive an error message. in-depth look at the research behind our geogrids and software. Did you know the SpectraPave Paved Application Method received a third-party endorsement? SpectraPave is in compliance with the 1993 AASHTO Guide for Design of Pavement Structures methodology. Click to read the full report. Need help getting started using SpectraPave Software? We can perform a hands-on training session for you and your team. Click to request a SpectraPave training. Be sure to launch the software and click 'update' to get the latest version. If downloading a new copy of SpectraPave, previous versions should be removed.